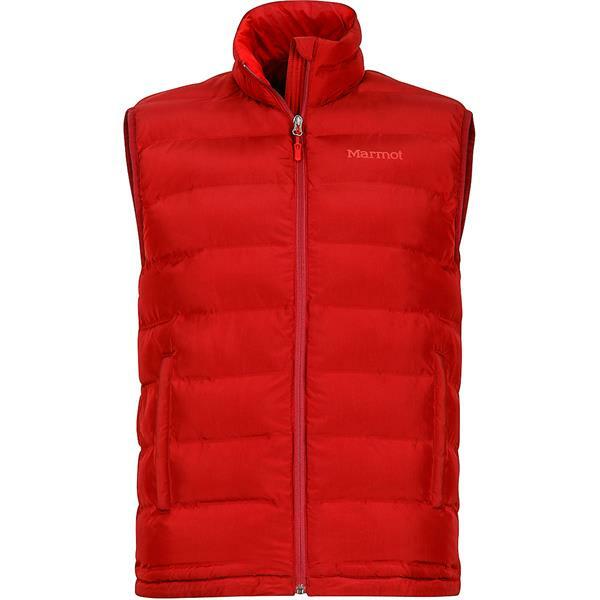 Get outdoors this season in the Marmot Alassian Featherless Vest for men. 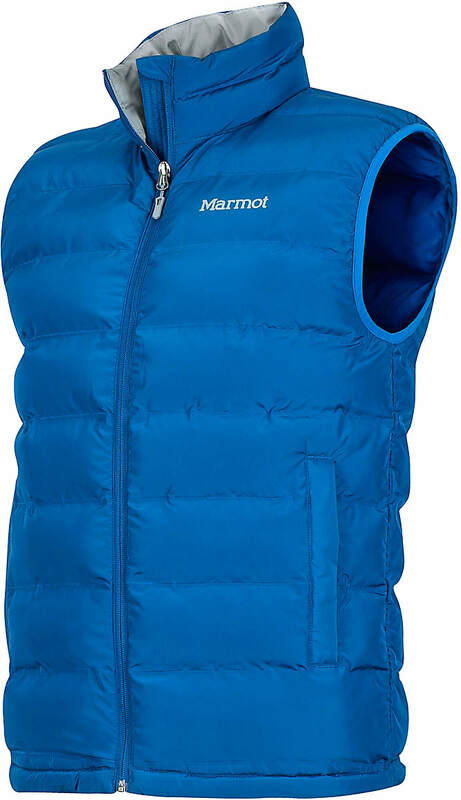 Marmot designed the Alassian Featherless Vest with a top of the line technology. Insulated with 700+ fill power along with 3M Thinsulate Featherless Insulation to keep you the warmest doing anything outdoors this chilly season. The 50 Denier woven baffle fabric helps to keep the insulation evenly distributed and helps to keep it from escaping through the seams of the vest. This woven baffle fabric style creates a durable vest for days in the yard, out with your friends, hiking, biking and whatever else you enjoy doing when the temps start to drop. 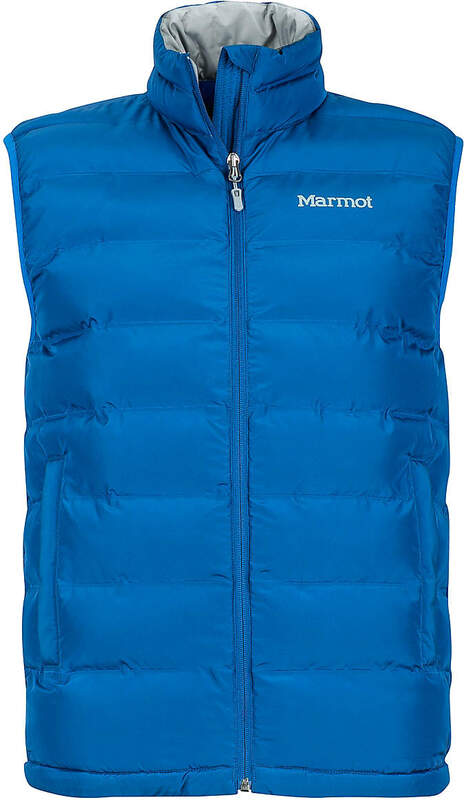 Zippered handwarmer pockets and an elastic drawcord hem are great added features to this Marmot vest. This regular fitting vest is great with a lightweight jacket or sweatshirt layered underneath for warmth during cooler months. 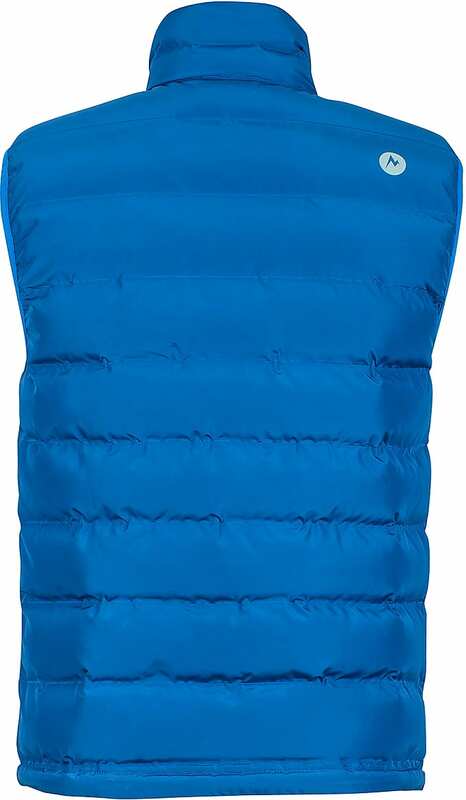 This season throw on the durable, insulated casual Marmot Alassian Featherless Vest for men and experience the outdoors in comfort. Fits well and is warm. The House offered this Marmot Vest at only 1/3 of the price that my local outdoor store wanted. The Vest, in brick red (similar to Crimson Red) fit perfectly, and has been my only outerware in 20-40 degree temperatures. The garment is very comfortable, warm, and durable. Bought for my husband and really likes it. Says it is warm. He needed the regular cut vest. Athletic cut was too tight under the arms but this one fits better. It’s my go to best this winter. Warm and comfortable. Size is perfect. Reputation of Marmot outdoor gear. Ordered two of these, one for each of my sons.